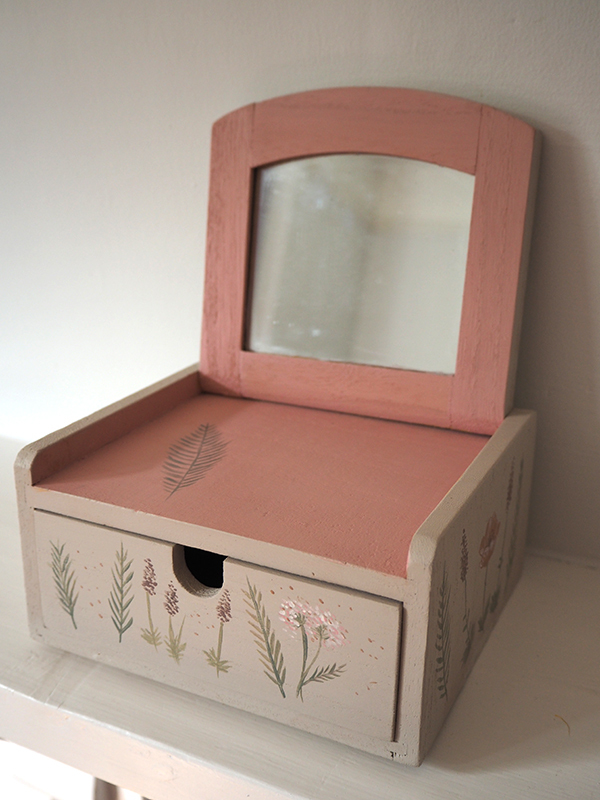 My latest "upcycle" - a little jewellery box that I found languishing on the back of a shelf in a charity shop. 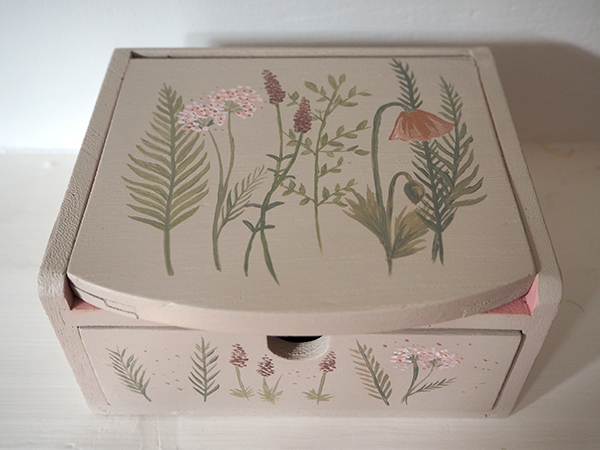 It began as plain unvarnished wood, I sanded it down and gave it a little botanical makeover of sorts. 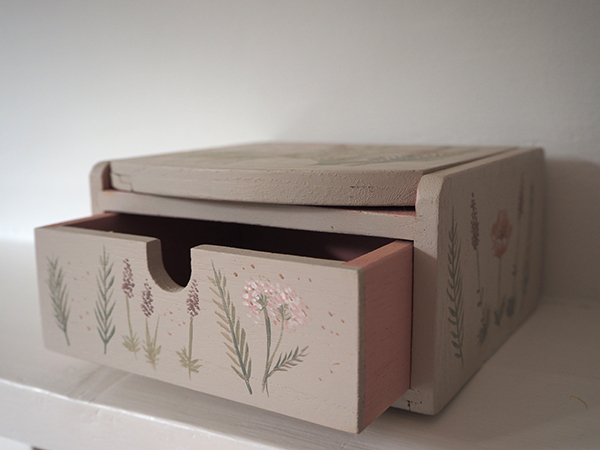 It will be accompanying me and to a craft fair in St. Ives, Cambridgeshire on August 1st and will be available to buy (If you want more details about the fair, please contact me!). Also, I can't seem to settle on a blog header. Hopefully this one will stick around a bit longer.